The General Data Protection Regulation (GDPR) came into force this spring with a set of prescriptive regulations on how to process the information of EU data subjects and what to do in the event of a personal data breach. Given the combination of stricter requirements and steeper penalties, companies, especially financial institutions, need to be prepared with GDPR-specific data breach protocols. Not sure how to get started? Or looking to take your current planning efforts to the next level? We’re here to help. 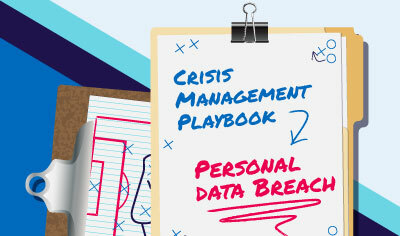 Based on best practices in the field, our step-by-step, how-to guide gives you a detailed template to develop your own GDPR personal data breach response plan.